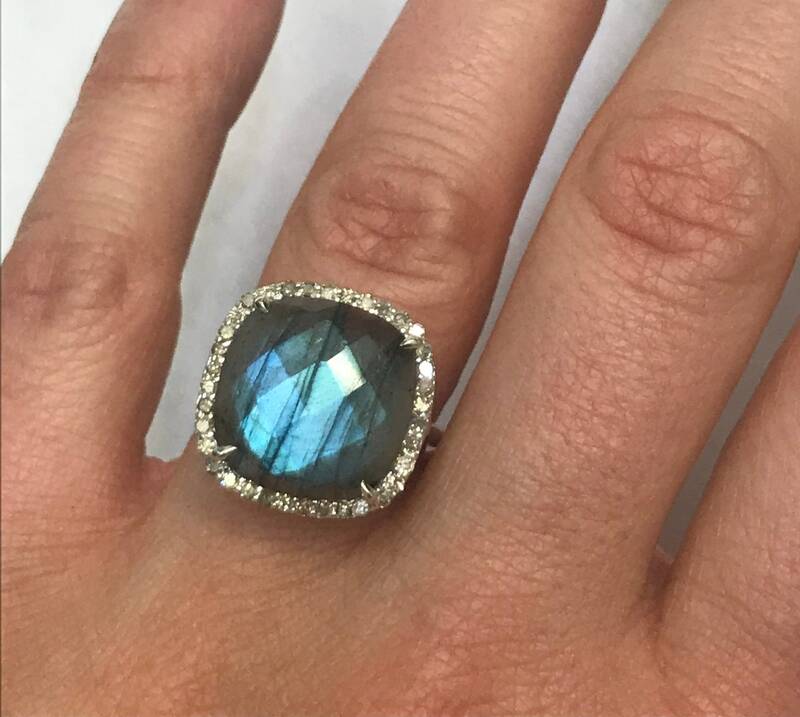 Adorn your finger with this cushion cut labradorite ring surrounded by diamonds. 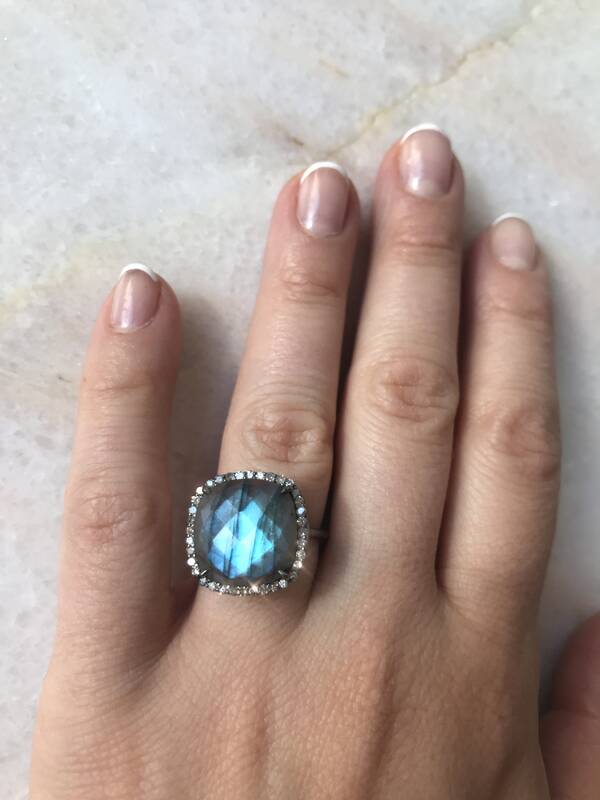 This statement ring is handcrafted with blue labradorite that flashes mesmerizing hues of dreamy blue when it hits the light. 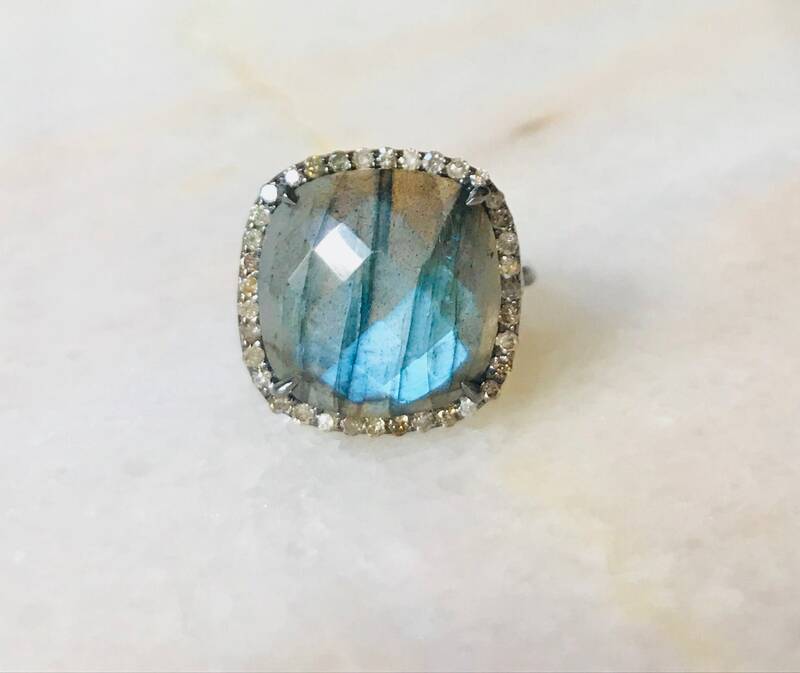 The admirers that surround you will not be able to take their eyes off this ring! 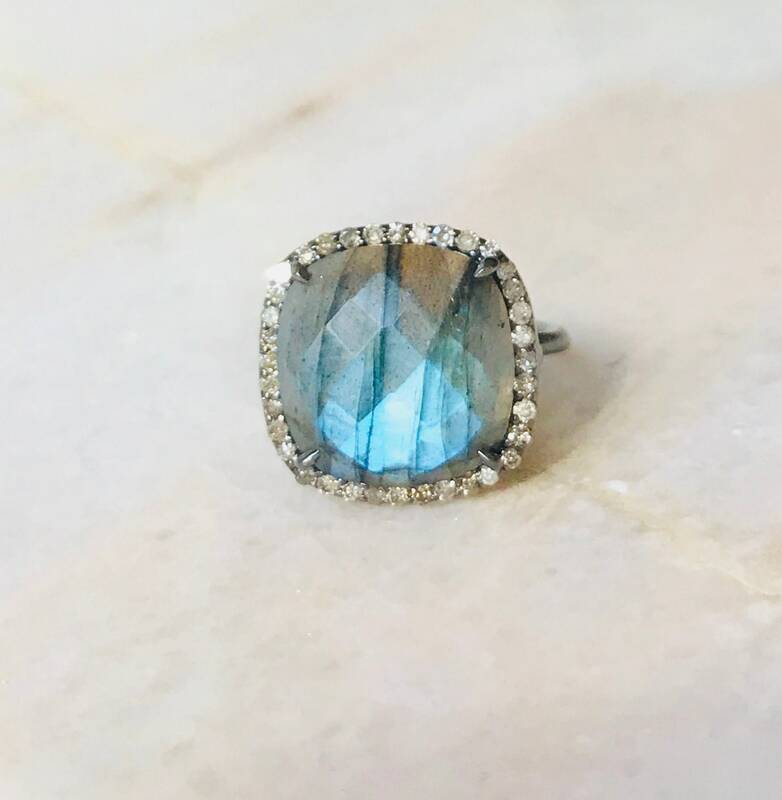 For a unique woman with elegance and a touch of mystery, this gemstone ring will make a special occasion unforgettable. 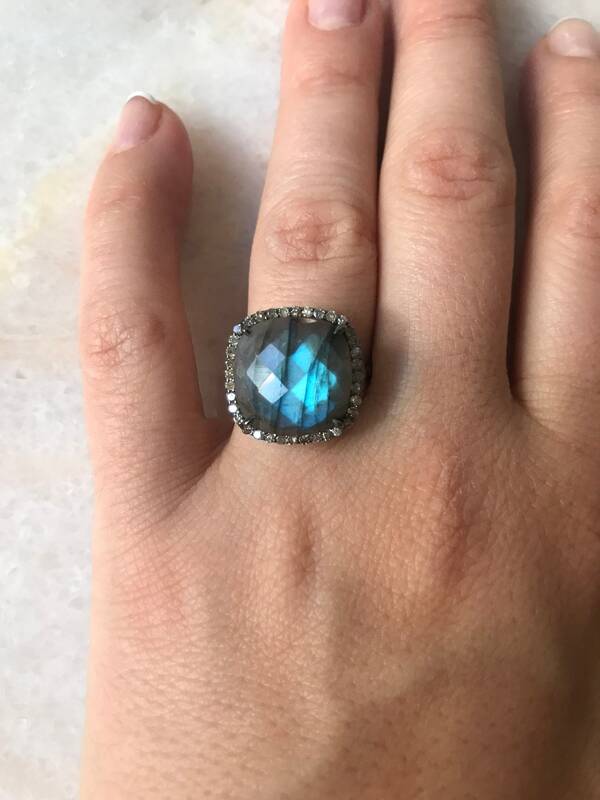 Add this ring to your cart by choosing your size and band metal from the drop down menu.